Simple and pretty done right. The Legend of the Condor Heroes stills flood seems to have slowed. 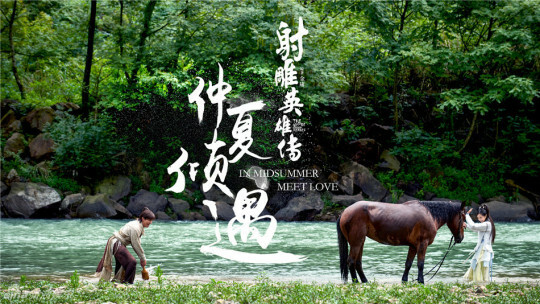 Starring Yang Xuwen, Li Yitong, Chen Xingxu, and Meng Ziyi, if the slow-down continues, I will probably be posting a bit less about this production in the near future (Oh noes! But what will I write about instead!!). The drama equivalent of uncontrolled selfie-taking: Gratuitous still and poster releases. The Legend of the Condor Heroes flooding continues. 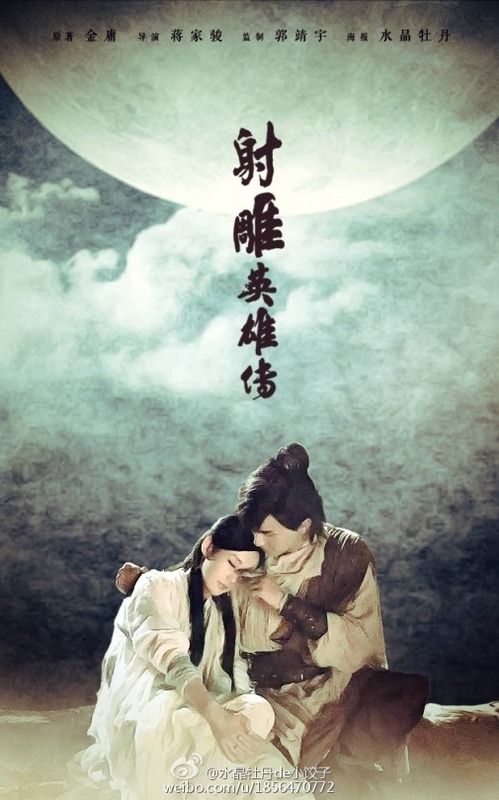 Starring Yang Xuwen, Li Yitong, Chen Xingxu, and Meng Ziyi, I remain convinced that in order to encourage more interest in wuxia, there needs to be an extension of the quality increase in production that we have seen in other dramas. OoooOOOH! So pretty! Do tell me which mall you got your hair done at. The Legend of the Condor Heroes image purge from my computer today. Starring Yang Xuwen, Li Yitong, Chen Xingxu, and Meng Ziyi, those interested can get a better look at the costuming. 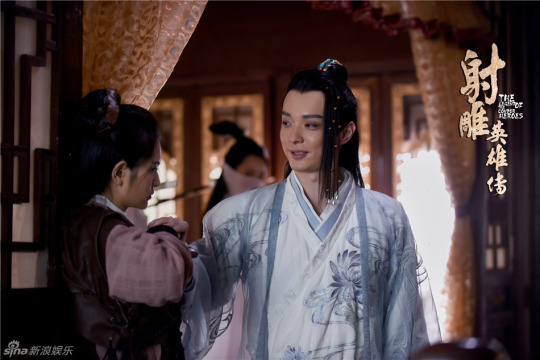 The Legend of the Condor Heroes has released more stills. Starring Yang Xuwen, Li Yitong, Chen Xingxu, and Meng Ziyi, at least everything looks nice so far. … and another adaptation is in the works. 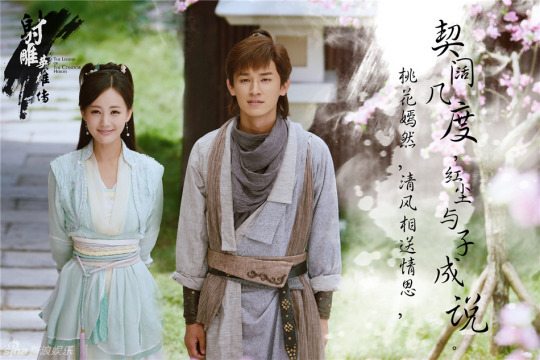 The Legend of the Condor Heroes has released character posters. Starring Yang Xuwen, Li Yitong, Chen Xingxu, and Meng Ziyi, those wanting a wuxia drama can keep tabs of this production. The latest remake of The Legend of the Condor Heroes has started filming. This edition directed by Jiang Jiajun so those who have been longing for a good wuxia remake can probably look into this edition.